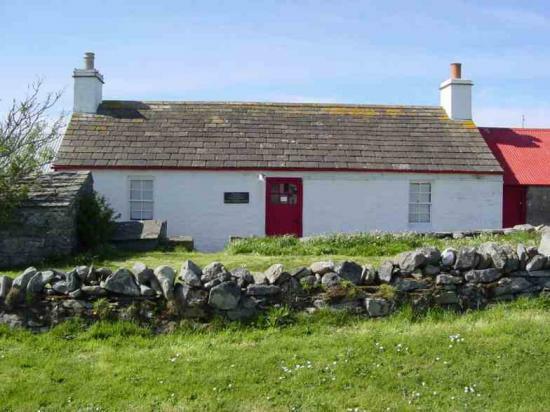 We are almost at the start of our new season at Mary Anne's Cottage in Dunnet. Recruiting volunteers has become increasingly difficult these last few years, and with the 1st May looming we are realising that we will possibly be struggling this season with who we have; two of our regulars have opted to become ‘standby', meaning they are only able to help on an emergency basis. This is obviously not ideal. We are wondering if there is who would be interested in volunteering. In the main, volunteering is generally guiding our many visitors round the Cottage, normally in groups, telling the story of Mary Anne, and how three generations of her family lived and worked the croft at Westside, Dunnet, for over 150 years. This can be very interesting and rewarding....you meet lots of different people from all over the world. Training will be given, and you would be able to shadow experienced volunteers until you felt able to go it alone. Don't think, ‘I can’t do that’. We also need someone on the desk, to take the money, welcome visitors, and sell our bits and pieces. If that sounds more like you, then we would like to hear from you too. On the other hand, if you need an afternoon/evening meeting speaker, still get in touch and we will be delighted to come along and see you. Give it some thought. Want to find out more without any obligation? Then get in touch with me for a chat, my details are above. If your organisation is not able to help, then maybe you could let me know where else I could go. A full complement of volunteers makes it easier all round to run a successful season. This article was published in the Caithness field club Bulletin Westside Croft (Mary's Cottage), Caithness A Fenton I have known Westside croft at Dunnet Head in Caithness since the 1960s. Then and in the 1970s, I carried out an examination of the buildings and their contents with the willing help and support of James and Mary-Ann Calder. Would you like to help out at the cottage stopped in time?.